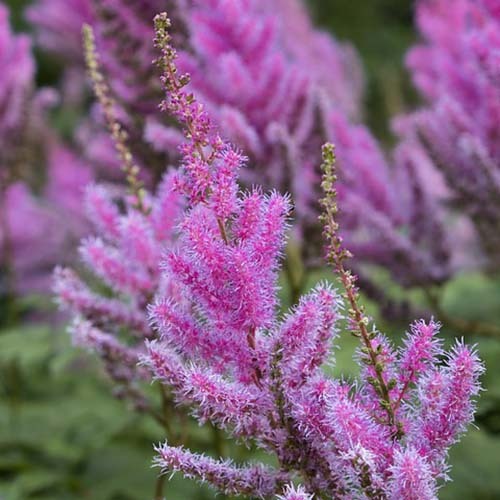 Astilbe Visions | Faddegon's Nursery, Inc. 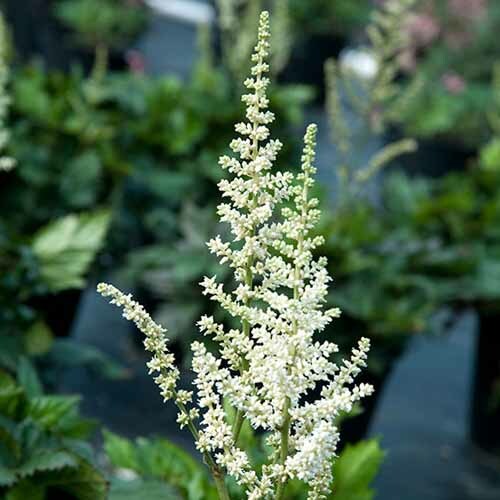 The Astilbe Vision series includes 4 varieties of compact Astilbe chinensis. 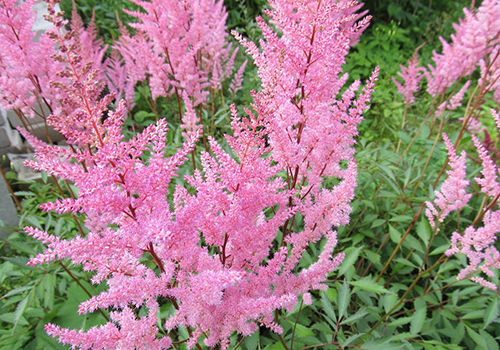 When planting astilbe with other shade plants, select those that share similar soil and light requirements. 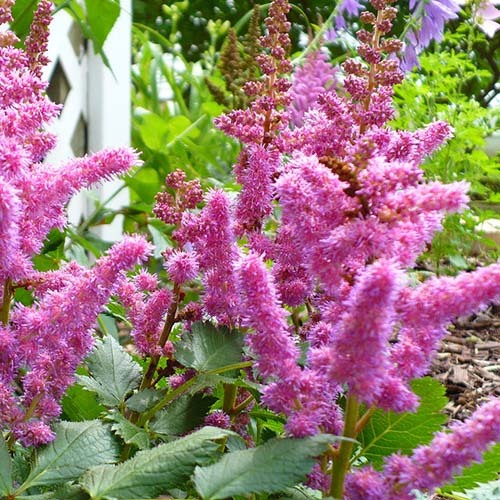 Astilbe likes shade, dappled sunlight, or part shade, and moist, well-draining acidic soil. 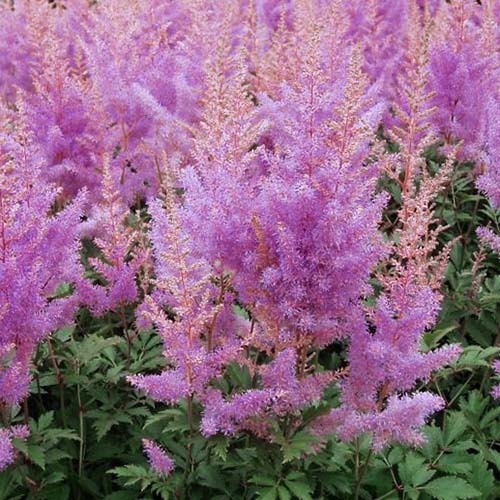 A pH of 6.0 is preferred. 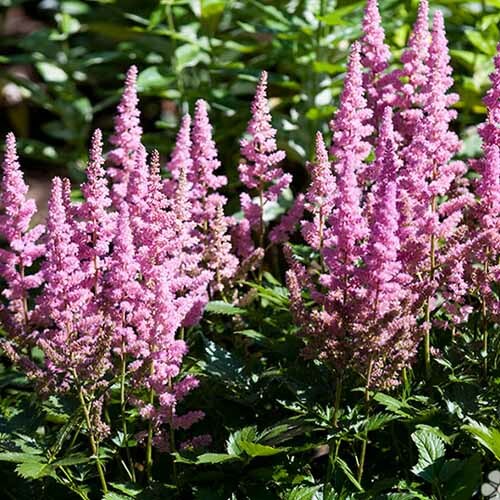 Having the right situation means healthier plants and more blooms! 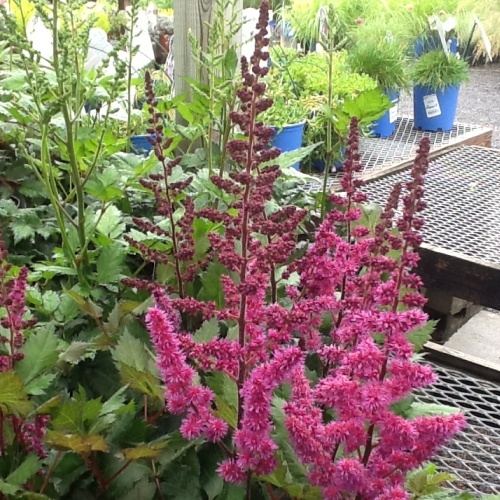 Astilbe is often planted to create a mass or wave of flowers.